If you are looking for something that really provides a statement to your Florida home as well as looking extremely stunning, then you could do no worse than deciding to have marble flooring installed. For the last ten years many hard stone products such as marble, travertine and granite has seen an incredible growth in their sales (around 2,000%). The sales of marble flooring alone have increased by about 400% during the last five years. Normally when a marble floor is first laid it will be treated with a sealer and this normally protects it for about 5 years and then after this period it should then be resealed. 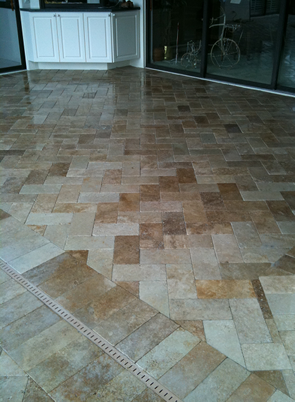 So other than ensuring that you keep your marble floors clean they need little or no maintenance. Marble and stone are in a class all by themselves. 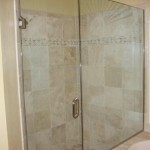 Natural stone tile require more care in selection and maintenance. Installation of these materials is more labor intensive requiring a greater degree of skill and know-how to install them. Prices for stone materials are typically higher than ceramic or porcelain tiles and installation costs reflect the degree of difficulty to install them. Stone tile bring nature into your Florida home. They add a feeling of luxury and permanency. Granite counter tops in kitchens and baths combined with a tumbled marble backs plash make for a classy look and feel to any Florida home. 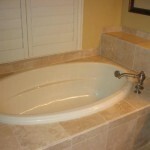 If you are looking for a professional Marble flooring contractor in Florida. please call 813-789-8921 or complete our “Contact Us” form. To begin with, Travertine flooring is also known by several other names, some of the most common include Oriental alabaster, Egyptian alabaster, onyx marbles and Mexican onyx. Travertine is a terrestrial sedimentary rock, formed by the precipitation of carbonate minerals from geothermal heated hot-springs. Similar (but more porous) deposits formed from ambient temperature water are known as tufa. 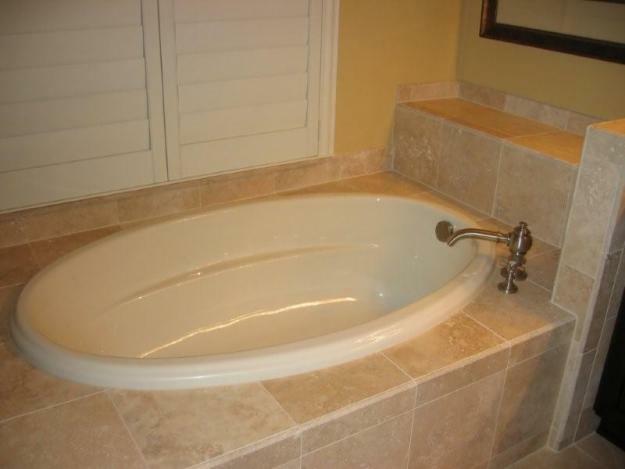 Travertine belongs to the larger family of stone called limestone also known as Calcium Carbonate. Marble is also a type of limestone that has had additional heat and pressure applied to it by the earth’s crust. Travertine is formed by minerals dissolving in ground water and then being deposited on the earth’s surface by rivers, natural springs, or geysers. This beautiful flooring not only adds style to your home but also adds value. As with all types of flooring Travertine has both good and bad points which have to be considered before going for this type of flooring. Its good points include being tough and hard wearing and there is a diverse range of styles to choose from as the stone comes in a wide range of some of the most beautiful colors imaginable. The bad points are if you like a highly polished surface then they can become very slippery which could cause problems when laid in areas of high traffic and you have to avoid the use of acidic products on the unsealed stone. Acidic products which could spoil the beauty of this natural stone include the spillage of orange juice or vinegar. So great care has to be taken and thought has to be given when thinking of installing in the kitchen or dining area. Another plus which bodes well when it comes to diversity is the fact that the flooring comes in four different finishes, the choice of which to some extent will depend on where you intend to install the flooring. One of the most beautiful finishes due to the way that the stone reflects the light is the polished, but as mentioned before this can be slippery. A smooth surface can be found with the honed stone due to its matte finish and brushed and tumbled stone has a slightly textured surface which holds a beauty entirely of its own. Whether you are trying to portray a contemporary or rustic image, Travertine flooring is unbeatable. When going for the rustic look then a cream or natural colored stone that has a brushed surface and is left unfilled will indeed give just that. Filled polished tiles are used for a more conservative look due to their highly reflective surface and look gorgeous when laid out over a larger open plan area. If you want a different look with travertine flooring you can choose to go mosaic and of course the rustic honed surface is the perfect choice when it comes to designing a mosaic floor. Although traditionally Travertine flooring is of course used when it comes to installing new flooring it can also produce stunning effects when used for more unusual decoration. Some uses which can show Travertine off at its best include using polished or tumbled travertine in the kitchen as a back splash. 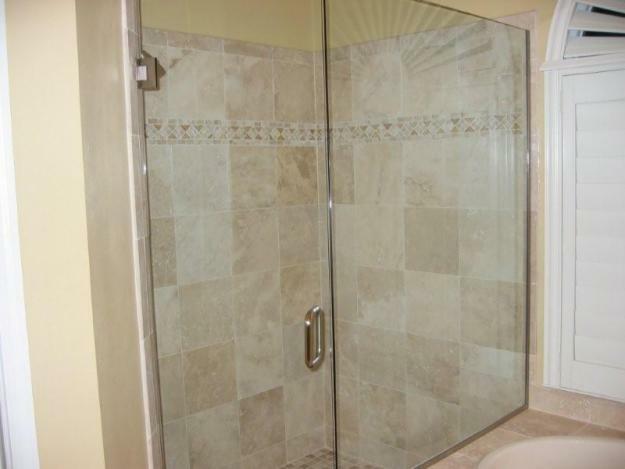 using matte stone on the floor of the shower stall and highly polished stone on the walls. Due to the natural beauty of a brushed or tumbled stone incorporating inconsistency and texture on each individual stone. one of my favorite patterns using travertine is the Chiseled Edge in a Versailles Pattern or the Honed Finish in a Brick Pattern.